Author: Hughart, Barry Set In . . . When a resepcted mandarin is murdered in the heart of the Forbidden City, Master Li and his sidekick, Number Ten Ox, are called in to investigate. Thus begins a Sherlockian adventure that takes Master Li and Number Ten Ox--accompanied by a scarred puppeteer and his shamanka daughter--on a wild chase across China. 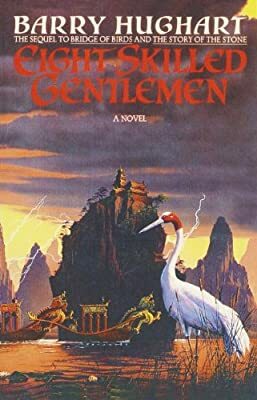 With murder, mayhem, and magic aplenty, and Chinese folklore and literary references thrown into the mix, Eight Skilled Gentlemen is a hilarious romp through Ancient China.